May 29 thru July 4, 2016 - A “Family Raiser” will be held for COTA in honor of Shafer Daves, a Chattanooga-area child who is celebrating his 5 year kidney transplant anniversary. The campaign will run for 5 weeks starting May 29 and ending July 4. Six-year-old Shafer had his successful surgery at Vanderbilt Children’s Hospital on June 22, 2011. Funds are being raised to assist with his ongoing transplant-related expenses. This creative campaign urges families to enjoy a low-cost evening together rather than being entertained. In this age of technology and fast-paced lifestyles, few families take time to cherish the moment until a diagnosis becomes a reality and changes “normal” forever. By using the power of social media, this initiative has the potential to reach many across the city, state, and globe. We are calling this unusual fundraiser a “Family Raiser” since this is about so much more than raising funds for Shafer’s cause. This celebration is a reason for families to look inward and plan a memorable time to raise their family up together. Our theme is “Celebrating Life, Family, & Shafer.” Participants will post highlights of what their family did together to Shafer's Facebook page using a specified hashtag and then donate a portion of the money they saved in honor of Shafer for his 501 c-3 medical account. There are three great opportunities to give: online through his website www.COTAforShaferD.com, by mail to the Children’s Organ Transplant Association, or by dropping a donation in one of the boxes at any of the 23 area Little Caesar’s locations (Chattanooga, Northwest Georgia, and Cleveland)…so giving will be convenient and easy for any amount. For more information about the Family Raiser, or other fundraising and volunteer opportunities, please contact Kathy Lee at (423) 314-7864 or at kathyl@prologodepot.net. November 8, 2012 – “Bright Night: An Evening of Inspiration, Music, & Comedy” will take place on Thursday, November 8, 2012, from 6:30-9:30p EST. The event will be held at the beautiful, historic Tivoli Theatre in downtown Chattanooga, TN. This will be a fun-filled evening celebrating the miraculous life of Shafer Daves. All proceeds go to support The Children's Organ Transplant Association (COTA) in honor of Shafer, YMCA Boyz Inc., and T.C. Thompson Children's Hospital. Tickets are priced at $50 for adults, and $25 for ages 12 and under. August 13, 2011 – “Walk the Runway 4 Shafer with DAN Talent Group” on Saturday, August 13, at Noon and 1:30p (CST). The event will be held at the Cool Springs Mall in Franklin, TN, and is part of Nashville Parents annual Back-to-School event. Team Shafer is very excited to share a fundraising opportunity with you...it involves SHOPPING! Stella & Dot is a San Francisco based company carrying fabulous boutique-style jewelry and accessories. Their collections have been featured in In Style and Lucky Magazines. Their pieces are very current, yet very classic in style. There are no parties and no hassles...ANYONE can simply shop online at www.stelladot.com/ashtongilbert and 20% of the proceeds go to COTA in honor of Shafer. It's just that easy! To help spread the word, there are two attachments. One contains all the information in a single image (Shop for Shafer Information.jpg) - this would be good to send out to your family and friends in an email or on Facebook. The second attachment (Shopping for Shafer.pdf) can be used if you would like to print copies to disperse at various locations - it contains two informational flyers on one sheet of paper. Help get the word out about this fun "shoportunity" as we continue raising funds for medical expenses. Thanks for all of your help. 10% of the net sales will be donated to help with medical expenses. You can also help spread the word by sending the Zaxby's flyer to all of your family and friends. Thanks again for all of your support. May 10, 2011 – Golf Tournament. Tuesday, May 10, at beautiful Windstone Golf Course. The entry fee is $100 per player, or $400 per team, for a 4-man select shot format with a shotgun start at 8:00a. Sponsorship levels are available. Please contact Shawn Roberts at 423.432.5632 or Stacey Roberts at 423.432.2307 for more information. Please click to download the registration/sponsor forms. May 4, 2011 – "Supper 4 Shafer" - Wednesday, May 4, from 5:00-8:00p at the Melon Patch Restaurant in Chickamauga, GA. Come enjoy a benefit supper to help raise funds for COTA in honor of Shafer. Good country cooking, southern sweet tea, and a spirit of love and fellowship welcomes all who attend. April 30, 2011 – "Sing 4 Shafer" - Family karaoke night at Gollywhoppers Sandwich Shoppe from 5:00-9:00p. Invite your friends, family, coworkers, and church members to attend this exciting night of fellowship. 50% of all food sales will go to COTA in honor of Shafer. Karaoke competition and prizes awarded in three age divisions – children to age 12, teens (13-19), and adults (age 20 and up). April 28, 2011 – “Eat Mor Chickin’ 4 Shafer” at the Ft. Oglethorpe location of Chick-fil-A from 5:00-8:00p. Fun for the whole family – live music, face painting, & giveaways, with 10% proceeds of receipts going to COTA in honor of Shafer. 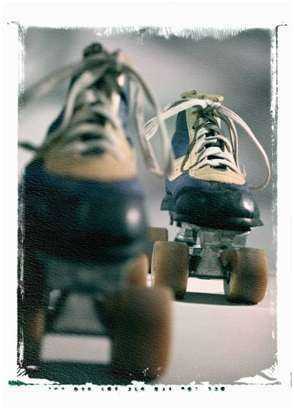 April 21, 2011 – “Skate 4 Shafer” on Thursday, April 21, from 4:30-9:00p at Hamilton Skate Place. $5 admission includes regular skate rental. All proceeds go to COTA in honor of Shafer for transplant-related expenses. There will also be some special giveaways and grab bags available for $1. Come enjoy a night of family fun while supporting a great cause. April 16, 2011 – “Shop 4 Shafer” at Learning Express Toys. “Grab Bags 4 Shafer” will also begin. At the North Shore location, from 2:00-5:00p, there will be a petting zoo, pony rides, and pictures made with live bunnies or a lamb. Our very own COTA volunteer, Paula Daves, will be taking the photos (she is a professional photographer and took Shafer’s promotional photo) and all revenue from the pictures will go to COTA in honor of Shafer, along with 20% of the day’s proceeds from both Chattanooga locations of Learning Express Toys (Hamilton Corner, 2115 Gunbarrel Road, and Two North Shore, 313 Manufacturers Blvd.). April 14, 2011 – COTA "Team Shafer" Meeting - 6:00-8:00p at Gollywhoppers Sandwich Shoppe. Please bring a friend or two and help us expand Team Shafer. March 15, 2011 – COTA "Team Shafer" Meeting - Second COTA Volunteer meeting at Gollywhoppers Sandwich Shoppe from 6:00-8:00p.